Michael David Battle is the 29-year old director of the Garden of Peace Project in Pittsburgh. Garden of Peace Project was created to uplift, uphold, and empower the narratives and lived experiences of LGBTQIA+ individuals and to address the lack of education, employment, healthcare, and housing, and the violence that impacts all LGBTQIA+ individuals. With only 33 days left until the inauguration of the new administration, Loretta Lynch sat down at the Stonewall Inn in New York with Buzzfeed reporter Dominic Holden to talk about transgender activism. Let me also speak directly to the transgender community itself. We are waiting for a decision by SCOTUS on whether it will hear the appeal by Gloucester County School District in the case G.G. v GCSD. The school division filed a petition on Aug. 29 asking the high court to determine if it is violating federal law by refusing to allow Grimm access to the boys' restrooms. It will be one of the petitions discussed in this week's Friday conference, where the justices decide which cases to accept and which to reject. 14-year-old Corey Maison was badly bullied in 5th grade. One bully even told her that if she killed herself, nobody would care. Why did he do this? Because Corey was different. Corey shows in her video that she never fit in with her peers when she was younger. She was shunned by girls and teased by boys, and even laughed at by adults later on. TransUnited Fund yesterday announced its birth. After repeated attacks at the state legislative level, a group of transgender and allied individuals are launching a political advocacy organization exclusively focused on advancing the rights of transgender individuals. Yesterday was International Transgender Day of Visibility. I've had some concern with the existence of a single day for that. I pretty much try to make transgender issues and/or people visible every day. In honor of the event, there were some special presentations. In the UK, the beautiful people put together a video. Kim Watson is a 52-year-old trans woman living in the Bronx with her husband and adopted daughter. She is cofounder of an organization called Community Kinship Life (CKLife), which provides space for transgender individuals to gather and offers scholarships. 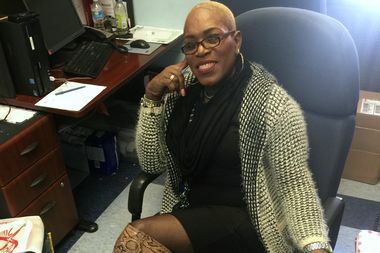 Her work has been honored by Bronx elected officials and citywide LGBT groups. She arrived in the United States on a tourist visa in 1988. When the pass expired, she remained. The city offered her refuge from persecution she faced over her identity in her homeland, but she continued to struggle with mental illness and substance abuse. While homeless, she was twice arrested for selling controlled substances in 1997 and 1998. Nazrali said that at the time she was going through a wrenching identity dysphoria that led to the run-ins with the law. However, more than a decade ago, Watson said she went to rehab and started receiving counseling for PTSD and her other identity issues. Watson earned a bachelor's degree from Pace University and began grassroots organizing over LGBT issues and HIV status. ensure that all transgender people live in a world where they are recognized, valued, and supported by their families and in society.